The Wall Street Journal named Bentonville as one of its up and coming culinary scenes in 2014 and they were right on the mark. Seasonality speaks to our chefs, as menus adjust to the harvest changes. The Bentonville Farm-to-Table culture is a large influence of Bentonville&apos;s unique offerings. 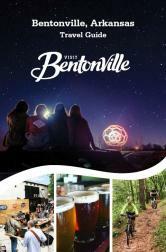 Come experience Bentonville&apos;s collaborative culinary scene; it is sure to stimulate your senses. If you&apos;re looking for a quick guide to our dining scene, check out our comprehensive Dining Guide below, or better yet, stop by our lobby today and pick up our guide in person, while getting our staff&apos;s recommendations of their favorite eateries.